BCDB Rating: 4.5/5 Stars from 8 users. This page has been viewed 43 times this month, and 4518 times total. Cartoon Characters: Sylvester, Tweety, Granny, Worm, Shark. Animated By Art Davis, Manuel Perez, Virgil Ross. Written By Art Davis, Warren Foster. 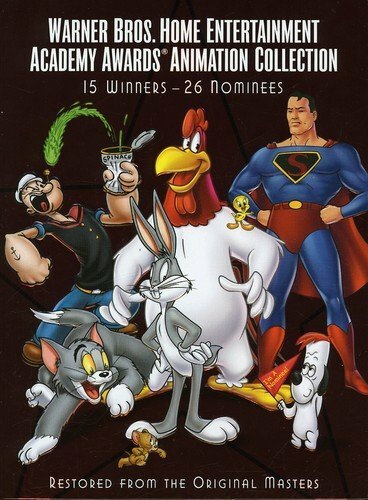 Awards: Academy Award Nominee, Best Short Subject (Cartoon), 1955. Originally Released on April 02, 1955. A box lying on its side at the beach bears the word "Friz." You can watch this cartoon today on your computer. Just click below to start viewing "Sandy Claws" online now. Do you have anything to add to this page? Have we made any mistakes... or do you have any additional information about Sandy Claws? If so, we would love to hear from you. Please send us a quick note with your additions or corrections to this page, and we will make the corrections as soon as possible! Below are comments about this cartoon submitted by people who have seen this show. Take a look and see what others have said about Sandy Claws. We want to know what you think, too!! Feel free to share your own opinion- we do want to hear from you! You can add your own comments here. When Bugs Bunny cartons would air on ABC, this one would be shown numerous times. While at the beach, Tweety is marooned on a rocky ledge by the incoming tide. Sandy Claws by Big Cartoon DataBase is licensed under a Creative Commons Attribution-NonCommercial-ShareAlike 4.0 International License.